Is your kung fu weak? Make it strong withSelf-Defense Training Camp! 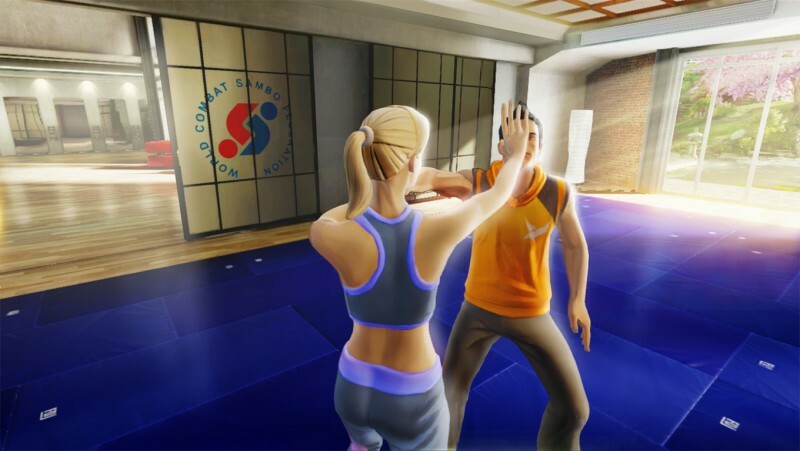 Although there are already several games for the Kinect that hope to help gamers find better health through physical activity, Ubisoft is introducing a new angle to the exercise-game market with a title focused on getting player into shape by teaching them self-defense. Self-Defense Training Camp contains, as the name implies, all sorts of workout routines and self-defense drills to get players burning extra calories on top of learning how to break a stranglehold or kick someone upside the head. Players can also spar off against virtual opponents using their newfound skills in mixed martial arts, and try to improve their speed with reflex-improving mini-games- though it remains to be seen if one of them involves snatching pebbles from the hand of a virtual wizened sensei. Along with teaching gamers how to best protect themselves (and their Xbox) from attackers, the game also includes meditation exercises to help with lowering stress and finding one's inner peace, since as tempting as it may be you can't always crane kick everyone you see. Self-Defense Training Camp is scheduled to arrive in North America on the 8th of November.